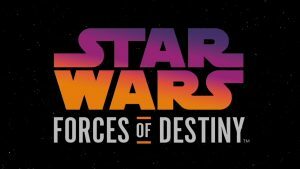 I had other plans for this week, but Lucasfilm’s debut of Forces of Destiny not only drew its share of praise, there was also a bit of a backlash. Some fans complained to the degree of claiming Disney is ruining the franchise with things like this. 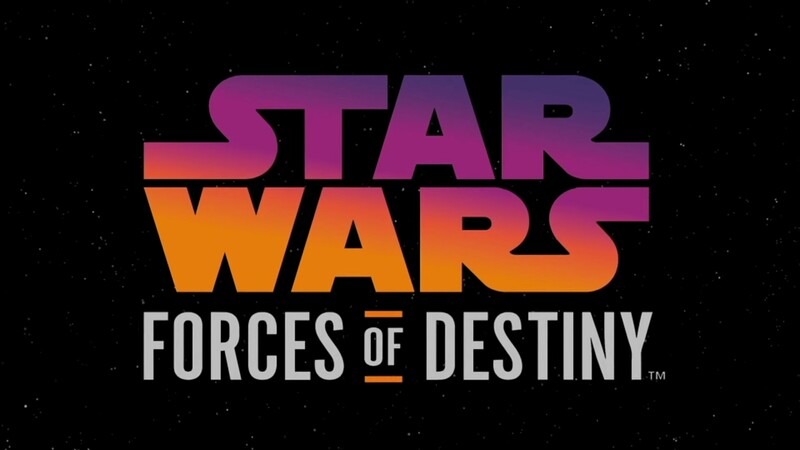 I didn’t mention this on the podcast, but if you didn’t think Lucasfilm wasn’t ruining the franchise with the Ewoks and Droids cartoon series in the 1980s, then you can’t think differently about Forces of Destiny. 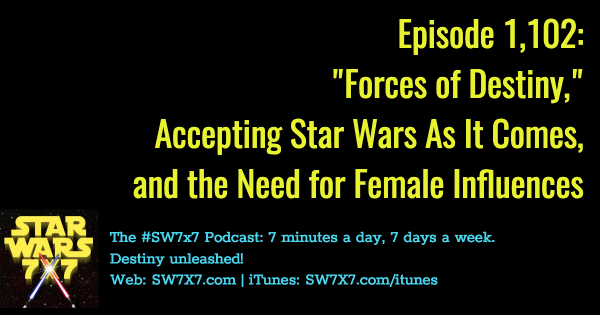 This was meant to be a conversation about accepting Star Wars as it is – for the audience for which it’s intended, and the way in which it’s served up to you – and it turned into an impassioned statement of us needing more female Star Wars fans, more female Star Wars characters, and more Star Wars makers and creatives in the franchise. Today’s question: What name has Jyn given that doll?